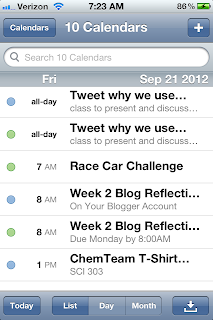 (Example Comment) Although I'm not on an iOS device, I have also found the Google calendar very helpful. On my Android I can access it through an integrated app on my device. It's very cool how I can make my updates on the fly and access them from anywhere. 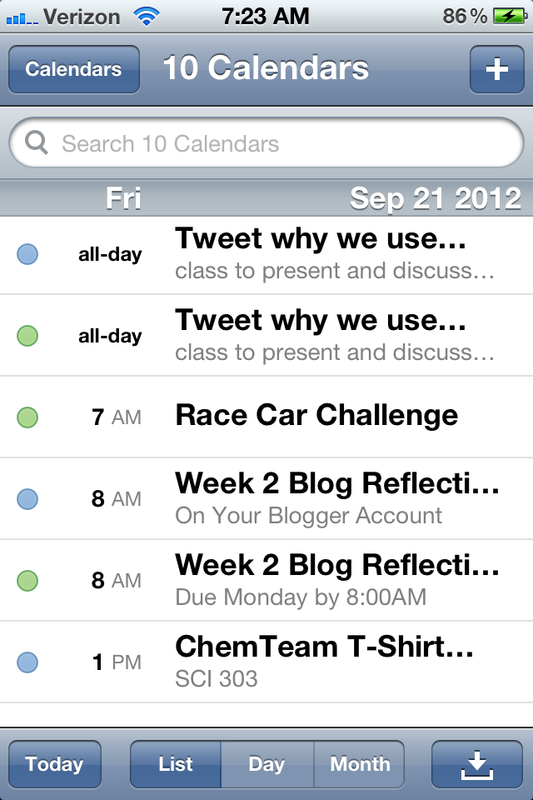 Also, it's helpful that the chemistry notifications are also added to my personal calender too.